A wireless remote that controls your iPod, iPad, or iPhone from up to 100 ft away and through walls! 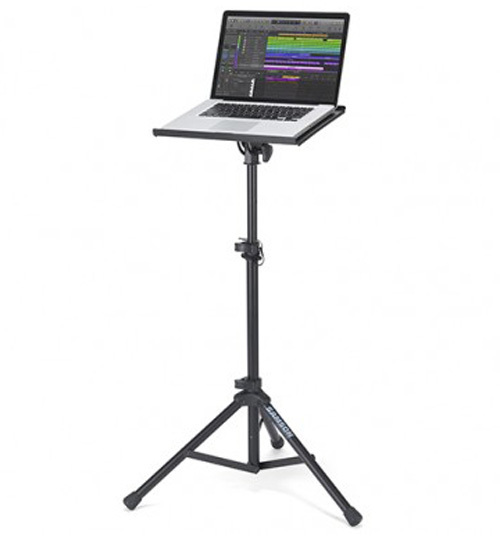 Great for teachers, coaches, stage presenters, performers and anyone who needs to cue music. 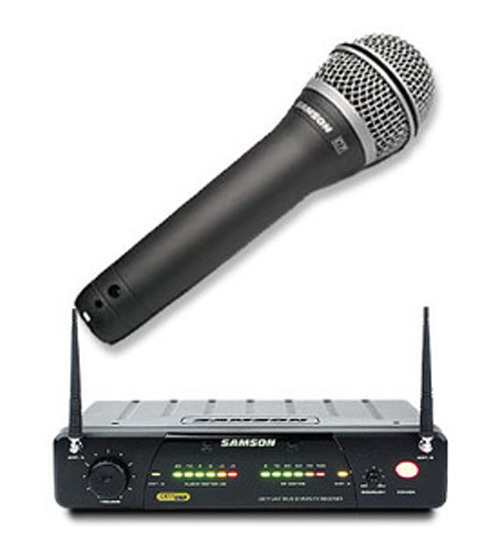 A wireless remote that controls your music from up to 100 ft away and teacher tested! Save yourself all the time and steps walking to your sound system to play or change songs on your iPod, iPhone, or iPad! 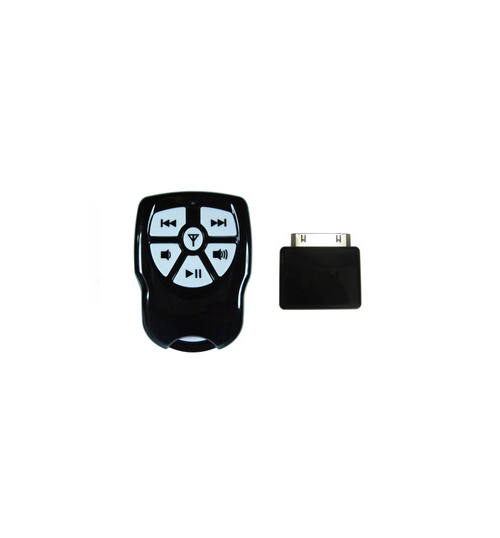 The 6 button remote allows you to enjoy your music or videos on your Apple device from across the room. 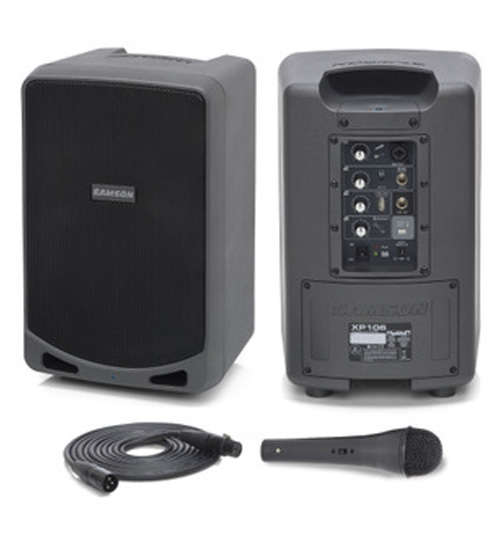 Great for teachers, stage presenters, performers and anyone who needs to cue music. You can carry it in your pocket; wear it on the belt clip (included) or around your neck with a lanyard. It’s so easy to use! Plug the small dock connector into your iPod dock on your sound system. (If your system does not have an iPod dock, then connect the enclosed audio cable from the dock connector to your sound system). Walk away with the remote and you’re good to go! The remote allows you to adjust Volume, Go Forward, Rewind, Play, Pause and Stop. Signals travel around corners and through walls. Wirelessly control iPod from a backpack, glove box, purse or anywhere. Not only perfect for instructors, but also for people working out or on the go. 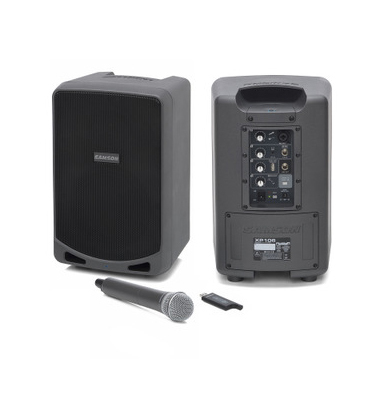 A great feature is that it charges by itself when placed on a sound system iPod dock! Compatible with iPhone (All Gen), iTouch (All Gen), iPad, iPod Nano (All Gen), iPod Nano Video, iPod (Classic, Mini, 3G, 4G Photo/U2, 5G with video, 6G) and now Androids! PLEASE NOTE: DUE TO THE VARIETY OF PHONES, WE WILL CONTACT YOU VIA PHONE AND EMAIL AS TO WHAT DEVICE YOU HAVE SO WE SEND YOU THE CORRECT REMOTE.